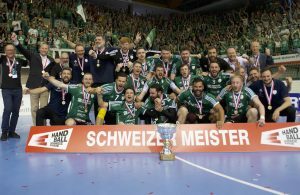 Home / Index category / Martin Galia leaves Bundesliga after 9 years – Swiss St.Otmar is next destination! 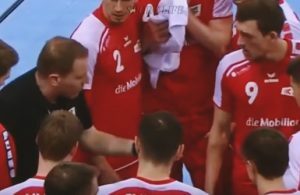 Martin Galia leaves Bundesliga after 9 years – Swiss St.Otmar is next destination! One of the leading goalkeepers from Czech Republic of the last decade, Martin Galia (33) will leave German Bundesliga after 9 years! 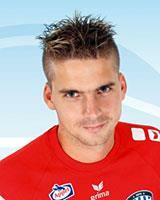 Experienced goalkeeper has signed three years deal with Swiss team – S.Otmar Handball from St.Gallen. One of the best Swiss team will get a huge dose of experience and quality for fighting with the best teams in domestic SHL. Galia is coming from Grosswallstadt, team who is on the edge of relegation from DKB Bundesliga. His previous teams are TBV Lemgo and FA Goppingen. ← Previous Story EHF Cup F4: Three tickets more for Nantes! Next Story → Third Norwegian player in Issy Paris – Pernille Wibe!